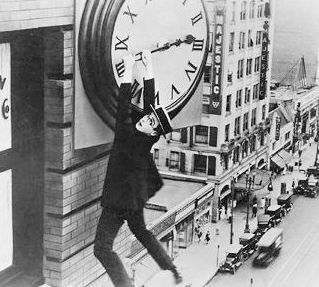 Random Media and Harold Lloyd Entertainment are pleased to announce the release of 100 Years of Harold Lloyd, fifteen works from the library of legendary silent film star Harold Lloyd. Seven features and eight shorts will be available for rental or download to own on iTunes beginning December 15th in the US and around the world. 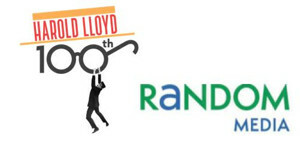 100 Years of Harold Lloyd will be available in three packages: The Films: a package of seven features; The Shorts Vol. 1, a package of three shorts; and The Shorts Vol. 2, a package of five shorts. 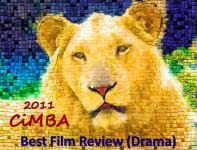 The films will be released in various languages in over fifteen countries, many for the first time. The feature films included in the package are: Dr. Jack (1922), Why Worry? (1923), Safety Last! (1923), The Freshman (1925), For Heaven's Sake (1926), The Kid Brother (1927), Speedy (1928). The shorts included are: An Eastern Westerner (1920), High and Dizzy (1920), Never Weaken (1921) in the first, and Take a Chance (1918), Young Mr. Jazz (1919) The Marathon (1919), Bumping into Broadway (1919), His Royal Slyness (1920), in the second. This unprecedented release follows on the heels of the Criterion Collection's DVD and Blu-ray debut of Speedy, Lloyd's final silent film. "We are honored to be able to bring this collection of extraordinary films to an international audience," Eric Doctorow, CEO of Random Media said. "Partnering with Criterion and iTunes made this possible and we are grateful for their help to make this happen." Sue Lloyd Hayes, Harold Lloyd's granddaughter and CEO of Harold Lloyd Entertainment, said, "This is a very thrilling way to bring Harold Lloyd to the digital age with his death-defying stunts and pure humor to the new generation with genuine laughter." Towards the end of his life, Lloyd himself stated, "It has been amazing to me that these comedies can still strike a responsive note of laughter with audiences of all ages and in all parts of the world. Laughter is the universal language. It establishes a common identity among people-regardless of other differences. It is the sweetest sound in the whole world." Best use of technology ever!